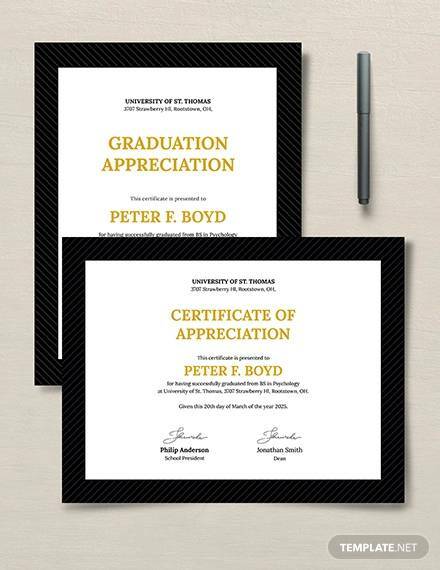 This type of template is given to diploma degree holders. Usually issued by the event organizer, it has the name of the event mentioned. 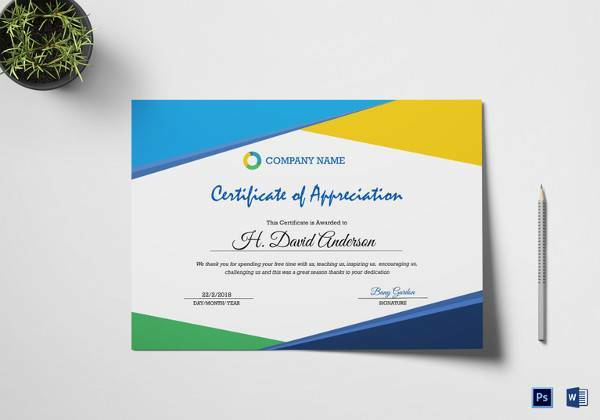 It contains the name, type of work and date of the event in the certificate. Also the date issued and signature of the important members of the organizing group is present. 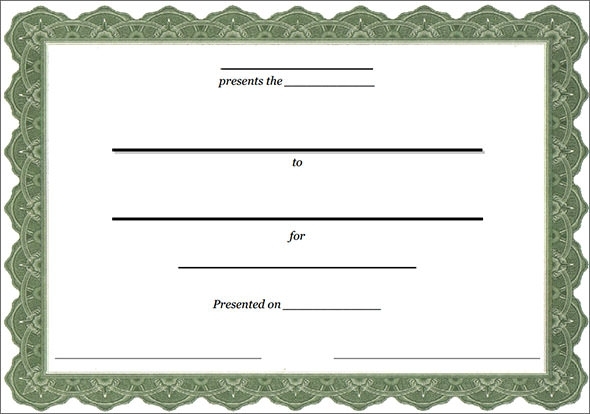 The print of the same takes place after some change with the use of a word document. Such alterations include the names and the reason of acknowledgment as well as the date. 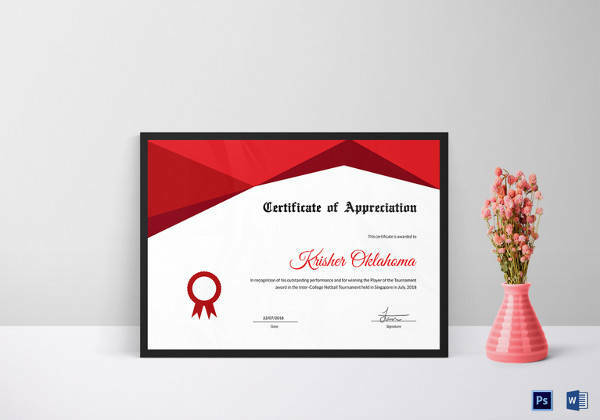 The organization has to have different types of certificates for presentation on several occasions so that they are not meaningless and boring in the eyes of their servants. However, their look should stick to the appearance of the standard template. 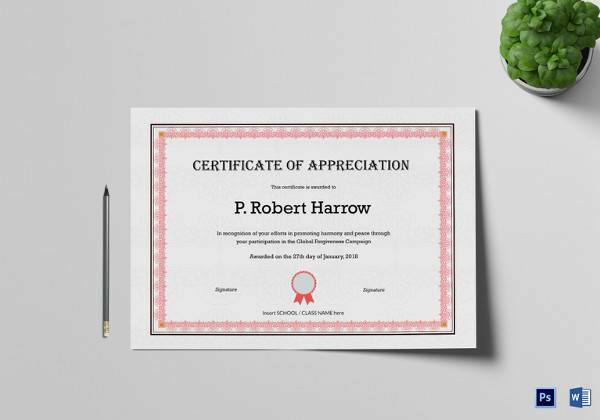 This is a thank you type template. 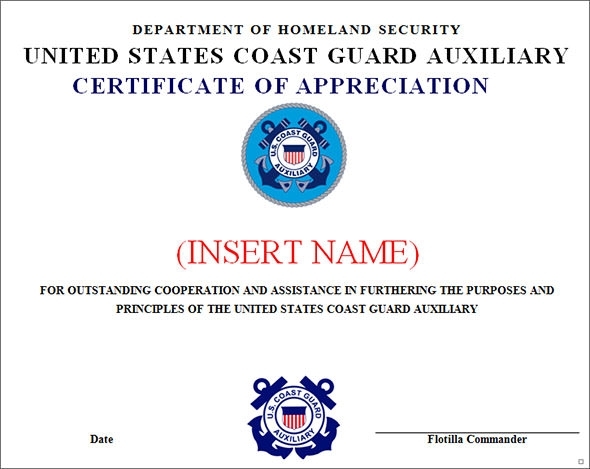 It contains the name and type of work for which the certificate is being presented. 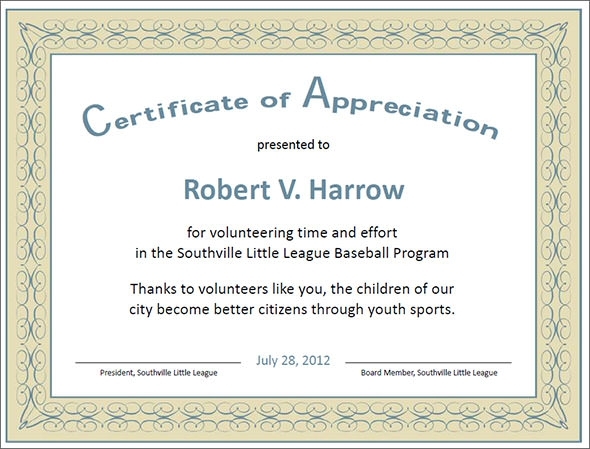 Usually given to donors and benefactors, it has the name of the event mentioned. The date issued and signature of the important members of the organizing group is present. 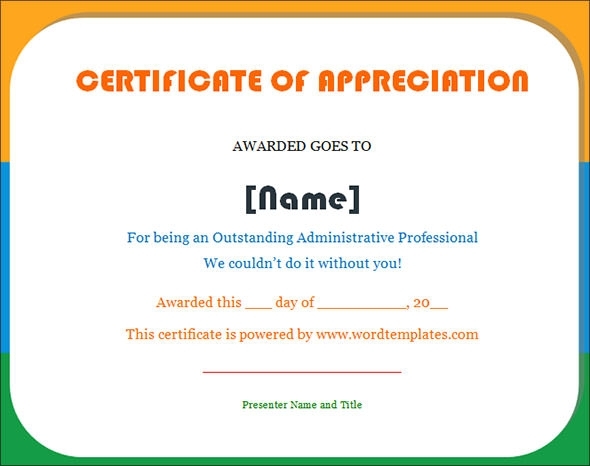 As the name suggests, this certificate of appreciation template can be awarded for any purpose. 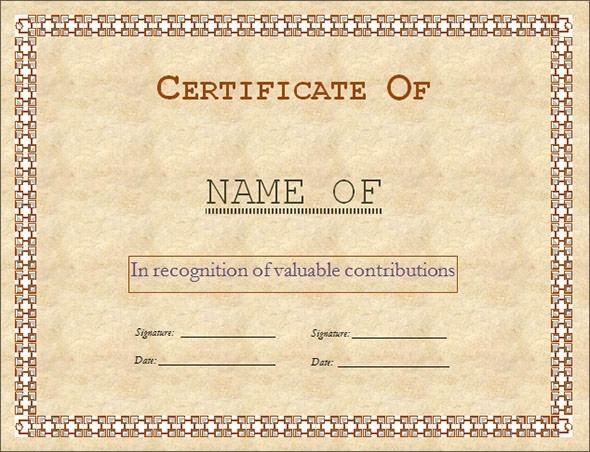 The name of the receiver is highlighted and the purpose of awarding the certificate is mentioned in the certificate. 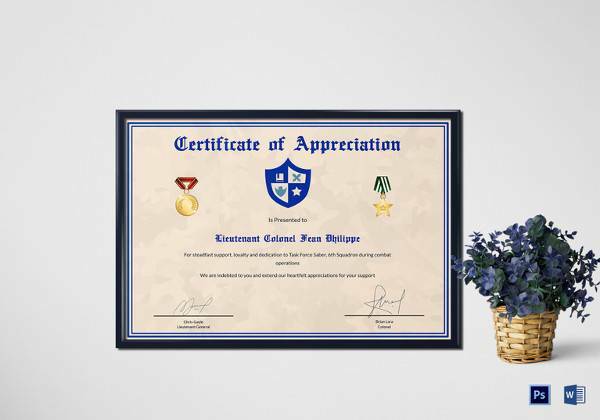 Also important signatures and company’s logo are present in the certificate. It generally is printed in black and white ink. 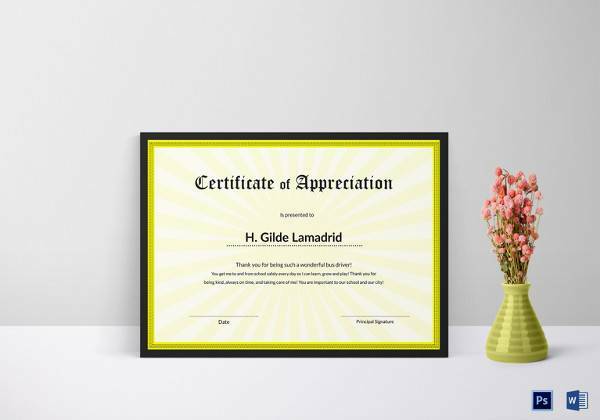 This colorful certificate of appreciation template is generally issued by schools awarding students for brilliant performance. 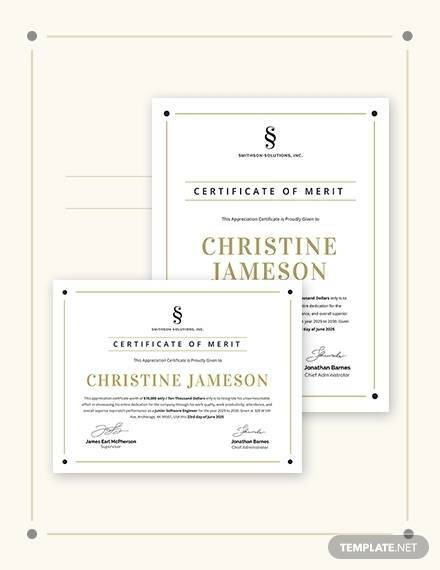 It contains the details of achievement and date of issuing the certificate. Also the signature of the director of the school is present. 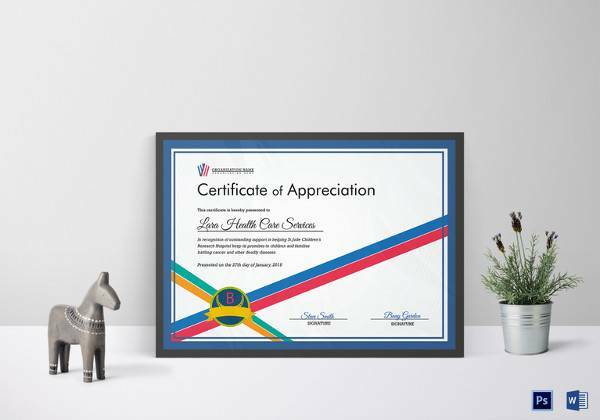 This certificate is available in various designs in different colors drawn over beige colored background. This template has a simple yet elegant look. 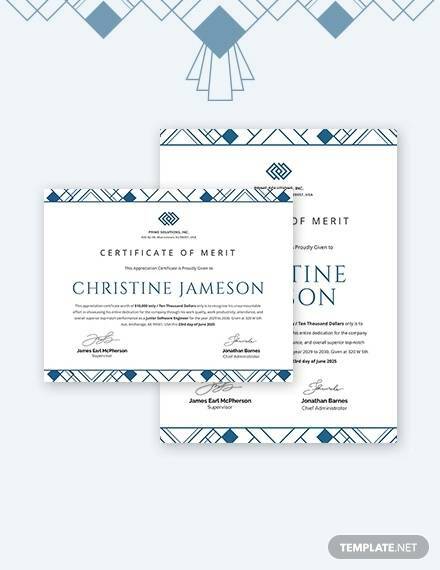 It has a thick border and in between the details of certification are mentioned. Usually issued by the event organizer, it has the name of the event mentioned. Important signatures and work done by the receiver is mentioned. There is a use of both black and green colored inks for printing. 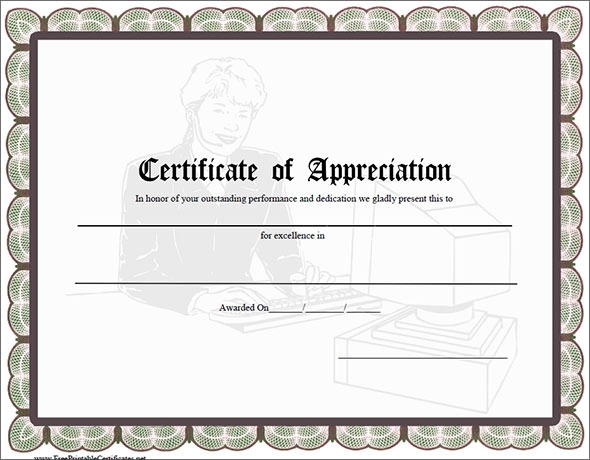 A modern certificate of appreciation is a unique type of certificate. 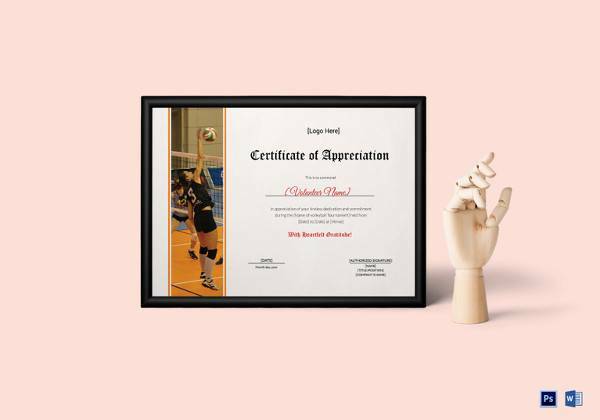 Printed on a colorful preset background, this certificate contains the photo of the receiver. 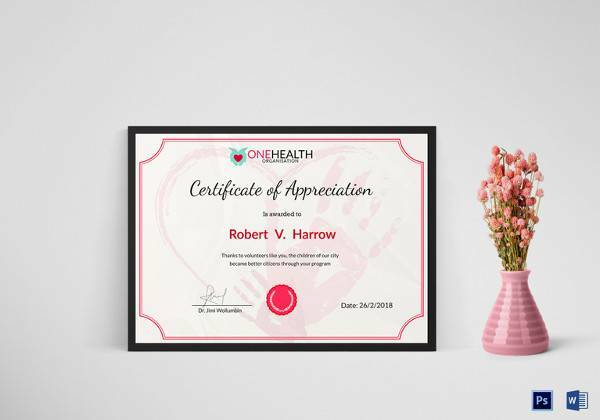 The details of the organization awarding the certificate, signature of a board member and event coordinator along with the logo of the company highlights this certificate making it one of its kind. 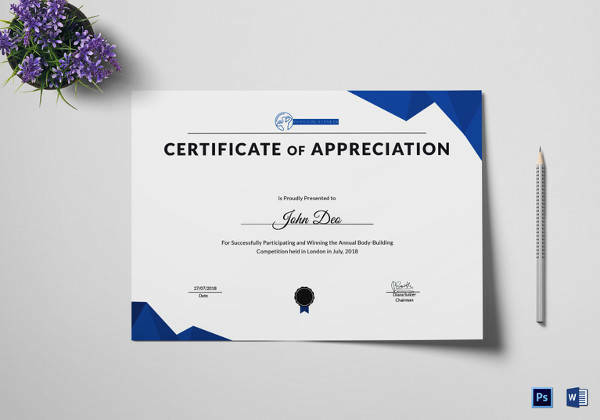 This certificate of appreciation template gives a royal elegant look to its receiver. Use of gold and silver color shades highlights the company name along with the receiver’s name making it more special. 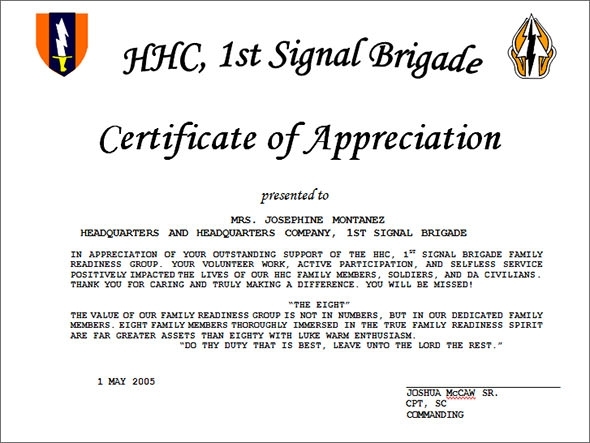 A seal and sign of board members as seen in other certificates are present here as well. 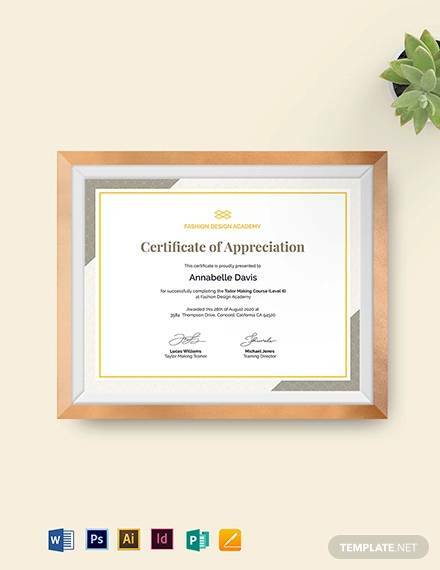 Certificate of Appreciation college graduation is document which is received by the student from the college authority. It includes the name of the student and the words that will reflect his/her good qualities. The format is available for free in both word and pdf document. You can download and customize as per your requirement. 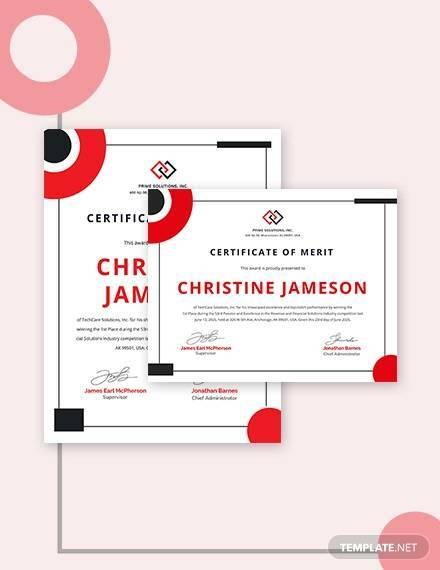 Those who design certificates tend to download a particular copy, as they deem suitable. 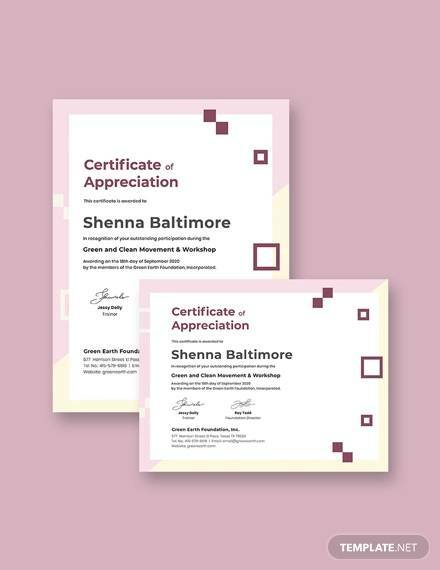 Note that the printable certificate needs to suit the needs of the organization. Editing is quite mandatory, but initial sample should not look very different from the one made. This template has the name of the organization on the top. 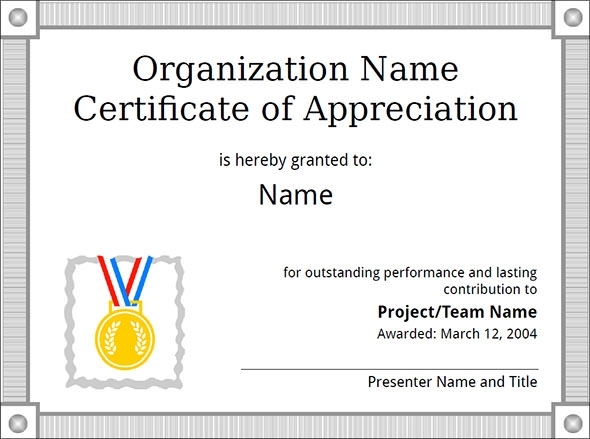 It contains the name, type of work and duration of project in the certificate. 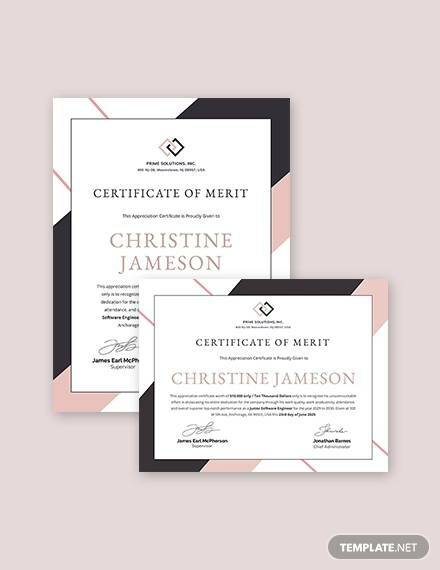 Usually issued by the project coordinating company, there are mentions of merits. Also the date issued and signature of the important members of the organizing group is present. 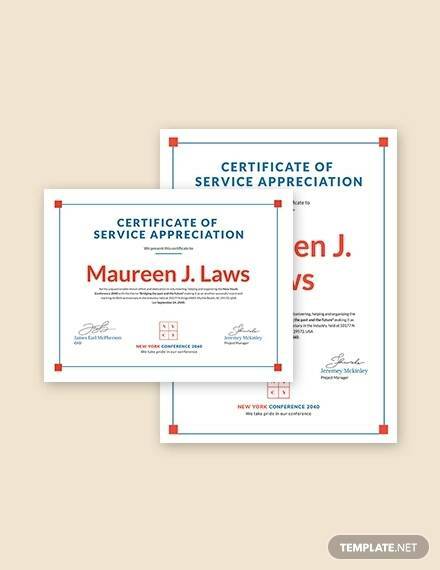 What is a Certificate of Appreciation? 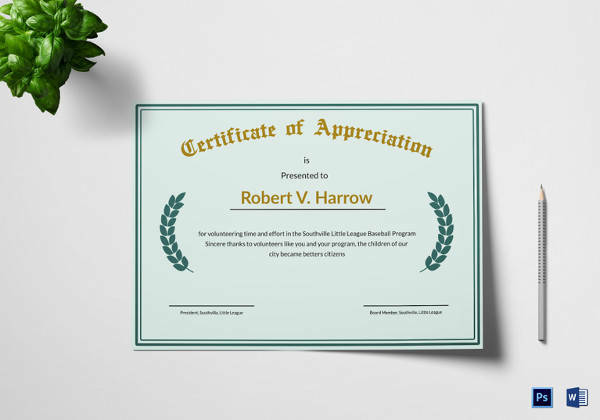 Certificate of Appreciation is awarded to students, individuals or group for their generous and brilliant performance in certain events or programs. Appreciation boosts the courage and eagerness in a person to perform better. 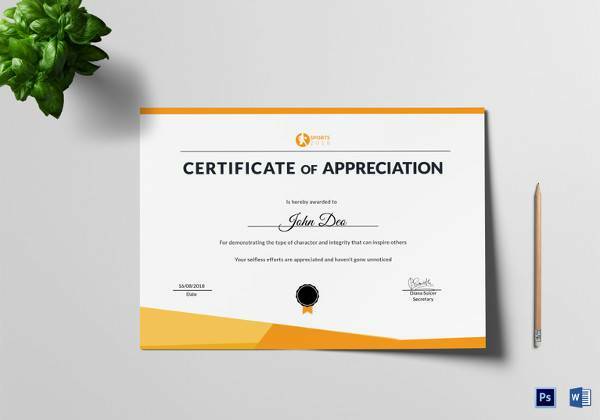 They contain information of the receiver, date of issue, amount of donations made (in case of charitable events) along with important signatures and logo of the company or organization. 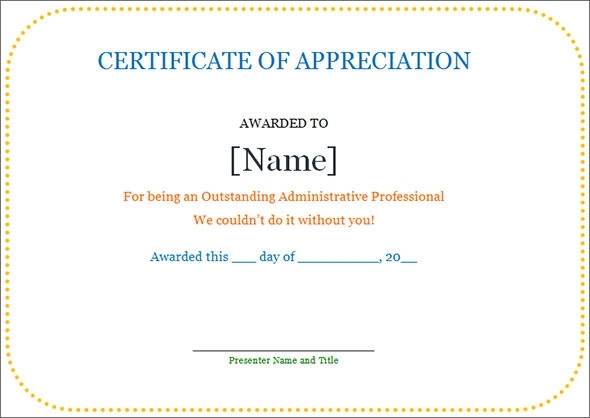 Various templates are available for making your work easier depending on the type of appreciation. 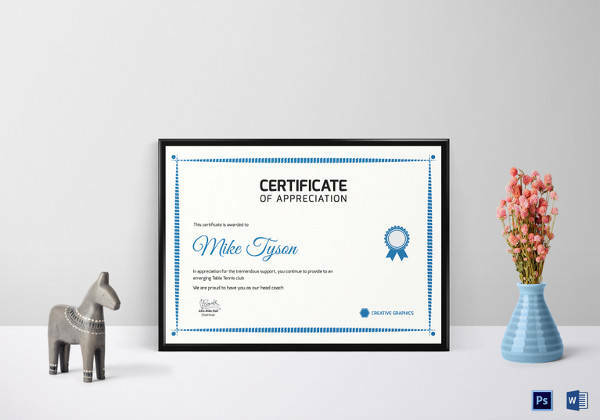 How to Create a Certificate of Appreciation Template? 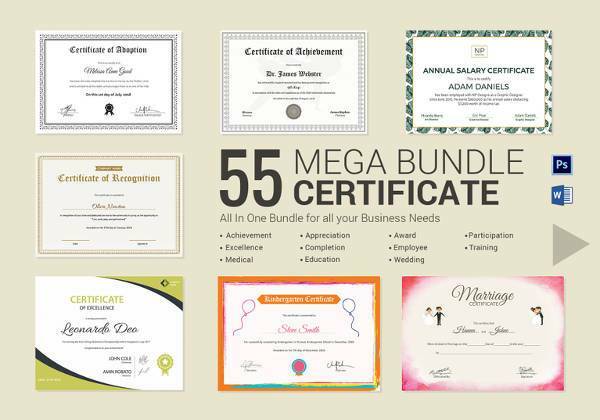 Based on the purpose of certification, choose from dozens of templates are available online at your disposal. 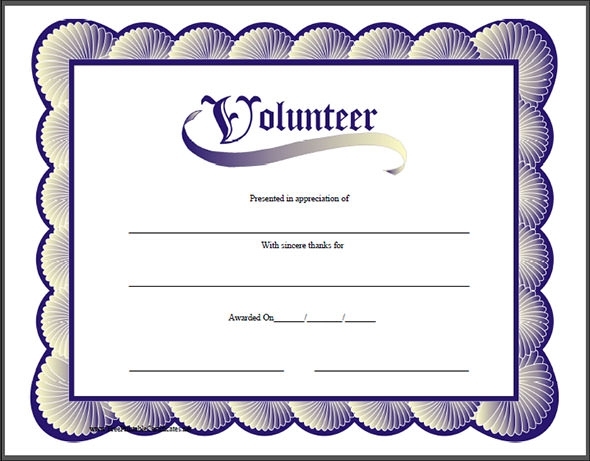 After getting the perfect certificate of appreciation, download and fill in the details of the donor and necessary. 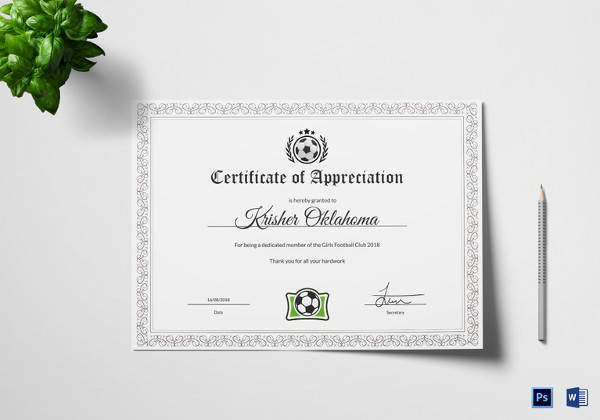 And after getting it signed by the right people, your certificate is ready to use. 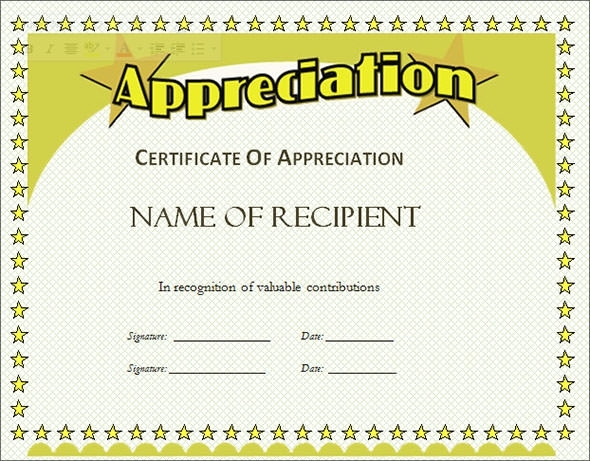 Employee appreciation boosts confidence in the person and encourages him/her to perform better. For students it adds another feather to their caps, entitling them for a better career option in future. 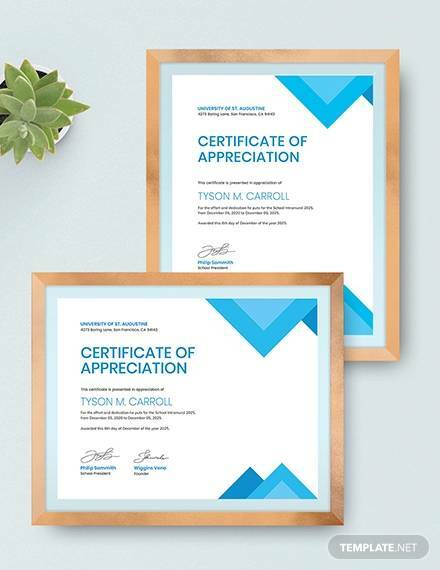 So for hassle free certification use the templates and make appreciation a better experience. 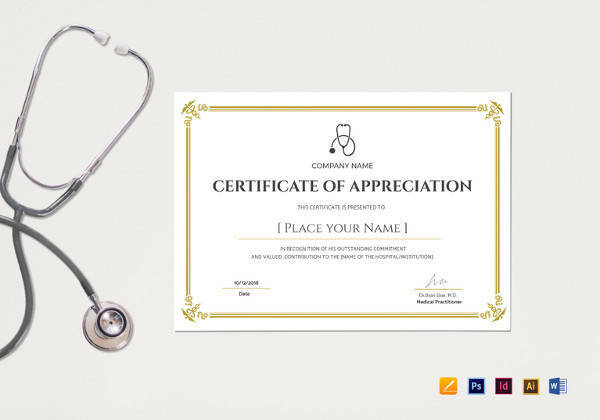 Choose easily from various templates and make your work easier depending on the type of appreciation. 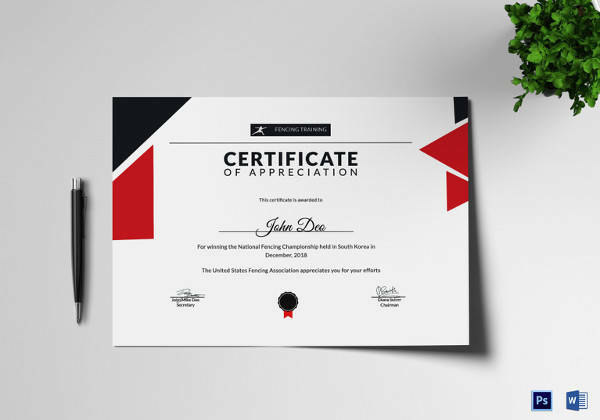 Select the right appreciation certificate template now!